The Victorian-era psychologist Thomas Story Kirkbride advocated the use of fresh air and elegant architecture for healing mental illnesses. 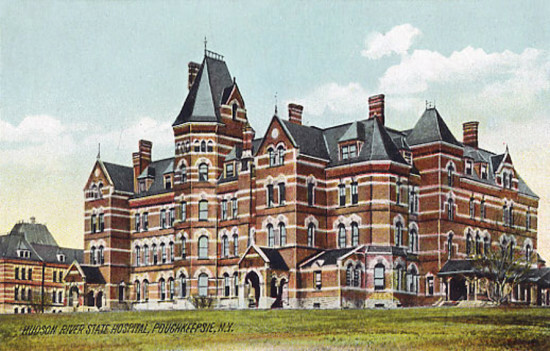 Under the Kirkbride Plan for asylums, patients resided in extensive, well-landscaped grounds and palace-like structures. Yet inside, unplanned by the architects, patients often were restrained in chains and dark dungeons and suffered ice-water baths. Fortunately, these immoral practices were abandoned, but so were the Victorian buildings that housed them, and these elegant structures deteriorated from neglect. Many Kirkbride Plan facilities have since been demolished, but at least forty remain. 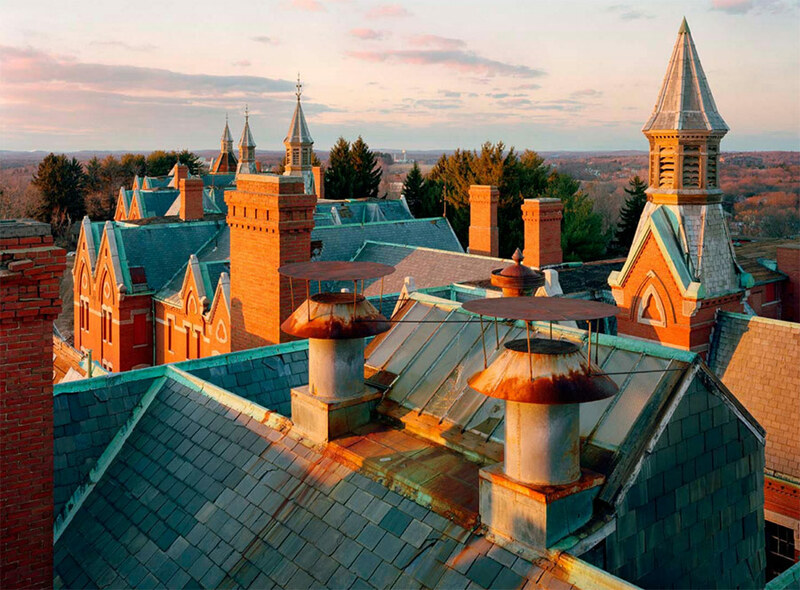 Once shameful and secret, these asylums are revamping community pride and local economies, as architects renovate the properties for a variety of uses. 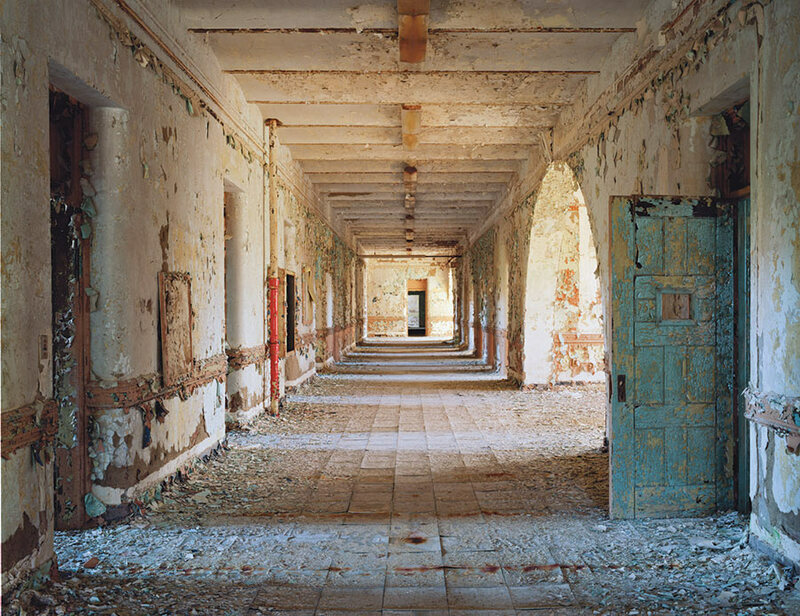 For example, the 182-acre West Campus of the former Government Hospital for the Insane, later known as St. Elizabeths Hospital, will house the new United States Department of Homeland Security (DHS) headquarters. 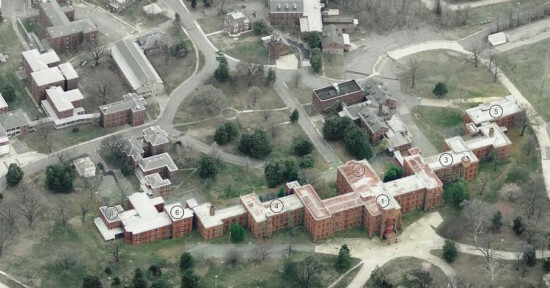 This Southeast Washington, D.C. asylum housed up to 8,000 patients, including multiple presidential assassins and would-be assassins, such as Richard Lawrence (Andrew Jackson), Charles J. Guiteau (James Garfield), and John Hinckley, Jr. (Ronald Reagan). 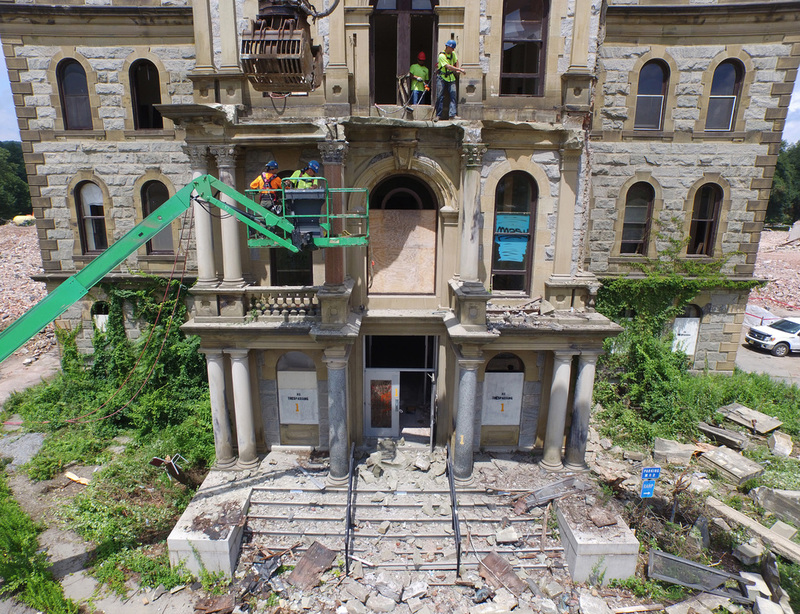 Working with DHS, Shalom Baranes Associates and Grunley Construction are repairing the 264,300-square-foot Center Building, originally designed by Thomas U. Walter, the primary architect of the 1851 expansion of the U.S. Capitol building. The Center Building’s seven connected structures originally served as administrative offices and treatment rooms for the Government Hospital for the Insane but will now house all DHS operations, saving $64 million per year in rental costs, since DHS operations are currently scattered across dozens of buildings in the District. Read more from AN here. 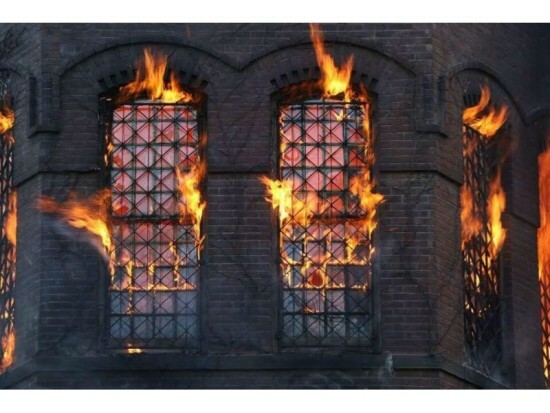 In 2007, six years after the Hudson River Psychiatric Center closed, the abandoned asylum was struck by lightning, burning its south wing, what used to be the male housing quarters. In April 2010, two more fires occurred, although these reportedly were intentional. Then, in November 2013, the abandoned, burnt, and deteriorated Gothic Revival structure, was purchased for $4 million. Diversified Realty Advisors and EnviroFinance Group (EFG/DRA Heritage) are transforming it into a $200 million, mixed-use development, called Hudson Heritage. The original grounds were designed by Olmsted & Vaux and the buildings were designed by Frederick Clarke Withers. 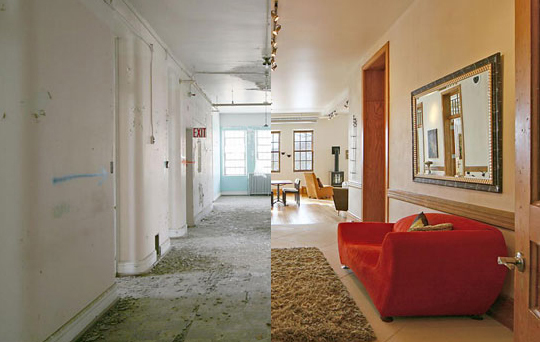 Four of the 59 original buildings will be re-purposed, whereas the other 55 will be demolished. The development calls for a 350,000 square foot shopping center, 750 single and multifamily residences, and an 80 room hotel, which was an original Kirkbride. Greystone Park Psychiatric Hospital abandoned a 675,000-square-foot, Second Empire Baroque building by architect Samuel Sloan. After the facility closed in 2008, Preserve Greystone, a volunteer organization, emerged to fight for its adaptive-reuse. However, the original Greystone Park could not be saved and was demolished at taxpayers’ expense of $50 million. John Huebner, president of Preserve Greystone, called the demolition “an irretrievable loss for this generation and countless future ones, and an affront to the generation that built it.” Hueber hopes to make a memorial for the site and preserve 1,000 linear feet of granite building facade, two marble columns, decorative pieces, and as many trees as possible. 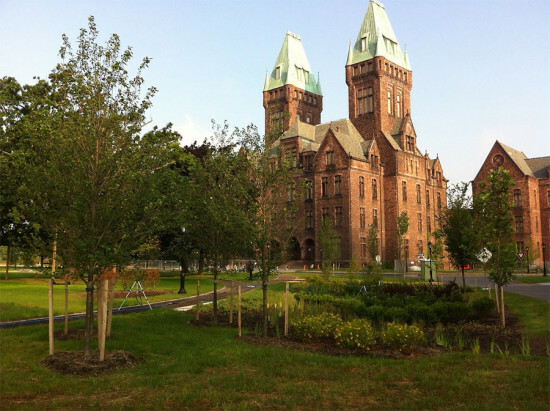 The Buffalo State Asylum for the Insane, by architect H.H. Richardson and landscape architect Frederick Law Olmsted, is undergoing a $56 million make-over, funded both publicly and privately. The current design team is made up of Flynn Battaglia Architects (executive architect), Deborah Berke Partners (design architect), Goody Clancy (historic preservation architect), and Simpson, Gumpertz & Heger (structural engineer). 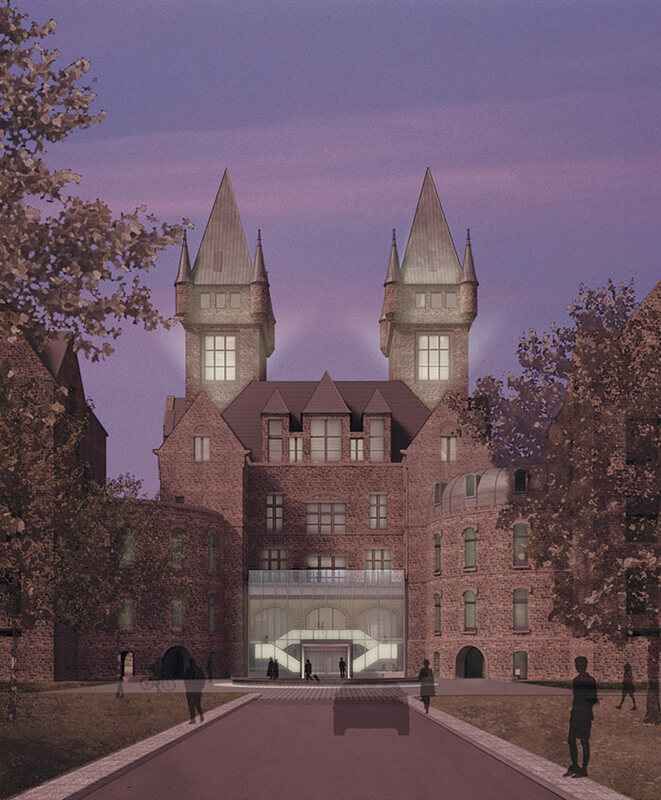 The three main buildings will house a hotel and conference center along with the Buffalo Architecture Center (BAC). Deborah Berke Partners redesigned the north-side entry as a beacon, with a glass entryway, highlighting the coexistence of historic and modern. Construction is underway and is expected to open in fall 2016 as Hotel Henry, Urban Resort Conference Center. Dr. James Decker Munson, the first superintendent of Northern Michigan Asylum, was a firm believer of “beauty is therapy.” He exposed patients to beautiful flowers, provided year round through the greenhouses and trees on the hospital property. The Victorian-Italianate facilities were designed by architect Gordon W. Lloyd and at their peek housed around 3,000 patients. The 63-acre complex closed in 1989, and was vacant until 2002 when Raymond Minervini purchased the entirety for only one dollar. 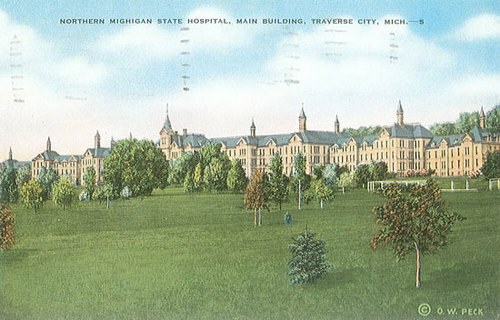 The rehabilitation, called the Village at Grand Traverse Commons, cost $60 million, and by 2005, housed residences, offices, shops, and eateries. The firehouse is now a bakery, and the laundry room is a wine bar and fair-trade coffee shop. The rehabilitation is expected to house 1,000 people–ranging from 300 square foot studio apartments to 3,800 square foot condos– provide 800 jobs, and host farmers markets, easter egg hunts, and beer and dairy festivals. Despite their negative associations, asylums exhibit excellent design and craftsmanship, and are adaptable to an endless variety of uses. Photographer Christopher Payne is an authority on these old facilities, photographing dozens of them for his book, Asylum: Inside the Closed World of State Mental Hospitals. 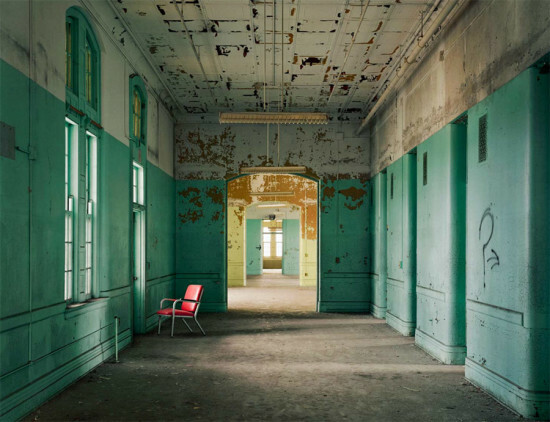 For more photos of abandoned asylums, visit Payne’s website here.